Piano transforms the idea into a uniquely electronic form. 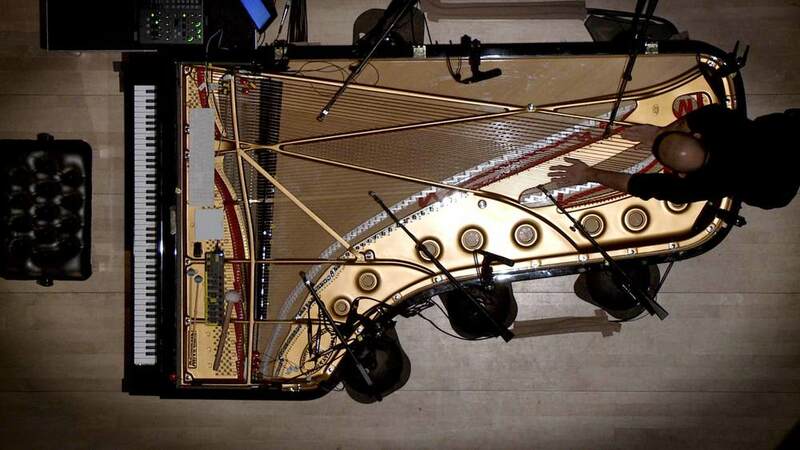 An acoustic piano is wired with both regular microphones and contact microphones attached to the body of the piano, its strings, and mechanisms. 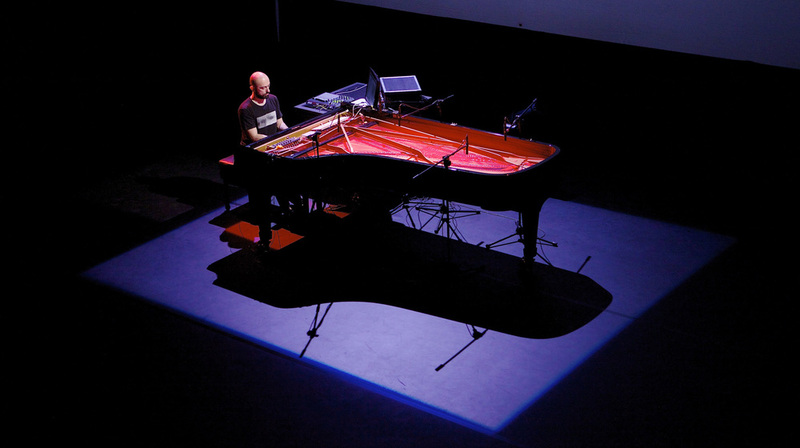 Each microphone’s signal is manipulated in real time through a computer and then routed to its own loudspeaker, creating a multichannel space around the audience that puts the listeners “inside” the piano. 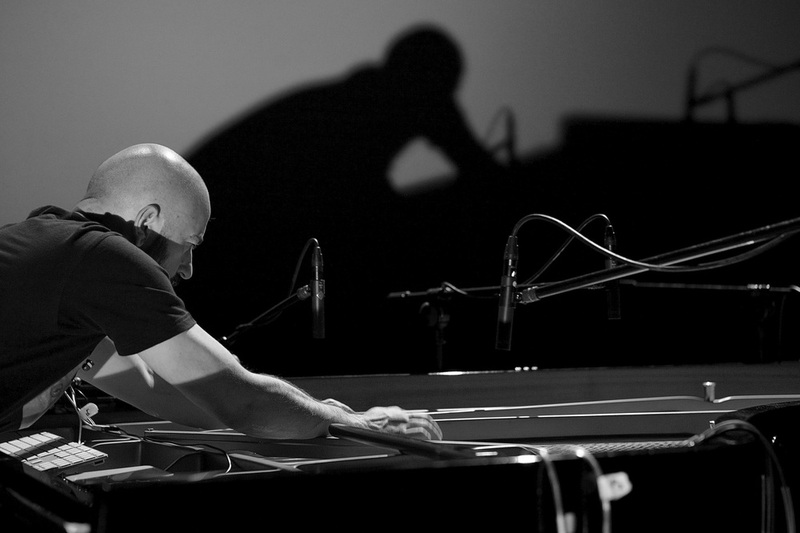 The performance “Expanded Piano” by the composer Stavros Gasparatos pays homage to the ever-evolving aesthetic character of the instrument. Here the spectral and spatial piano properties are not merely extended via stylistic or recording and postproduction means. Instead, these aspects are expanded into the real physical space so that the listeners are immersed within a virtual new instrument whose aural size is only bounded by the extremities of the concert hall. This is now the piano heard through a sonic magnifying glass so that the listener embarks into an Alice in Wonderland-like acoustic journey. See the Ableton Live article about "Expanded Piano". 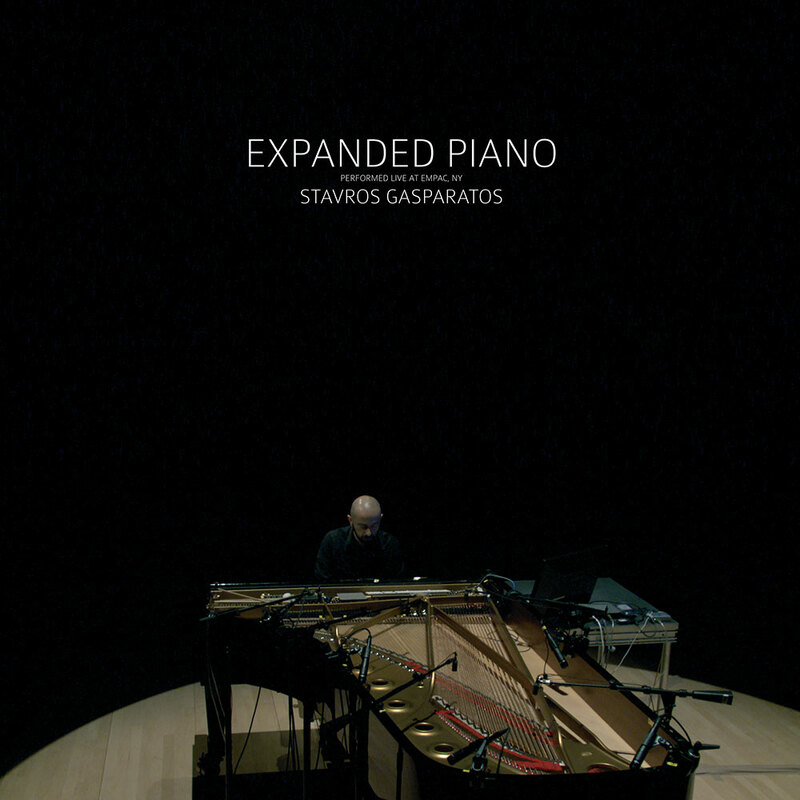 "Expanded Piano” is a recording of a live performance by Stavros Gasparatos, commissioned for the EMPAC (the art venue of the Rensselaer Polytechnic Institute of Troy, NY). 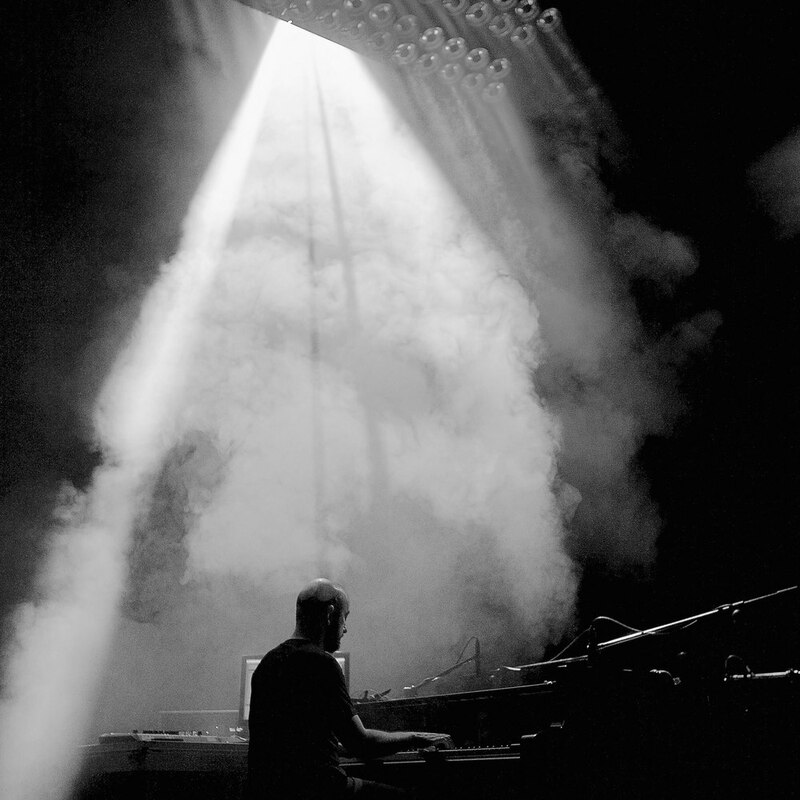 It was recorded during a unique live show on November 27th 2014, with Stavros Gasparatos alone on stage. The 24 channel original recording was mixed to stereo for this album, though a surround sound version is available for download. "Expanded Piano” also goes beyond its rules and technology, as Stavros Gasparatos does not only execute a concept, but creates a touching and highly evocative art piece. From the opening "Vincent” to the building energy of the closing "Scrape”, the album finds its place in today's emotional piano-based music and seduces its listener as much with its beauty as with its abstractions. "Expanded Piano” is not made to be a one-off concert. Stavros Gasparatos also ventures to take his concept and his music to other venues. 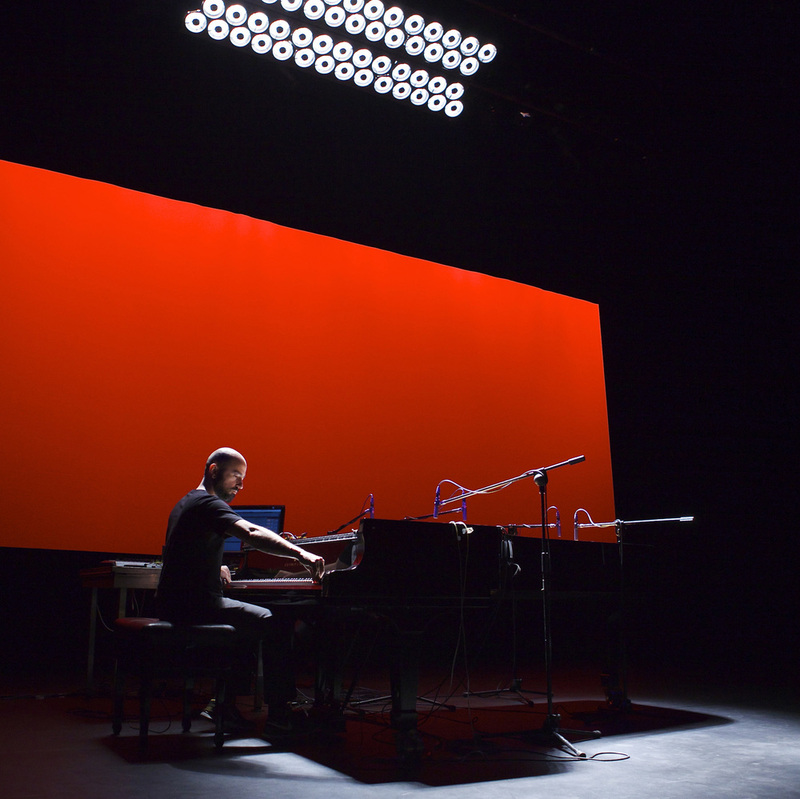 “Expanded Piano” has already been performed at the equally prestigious Megaron Hall in Athens during the 2015 edition of the Athens and Epidaurus Festival.